How is this season treating you so far? How are you treating yourself? Have you checked in enough to notice what’s making you happy, what’s making you stressed, what’s causing your anxiety and what is lighting you up? It’s so interesting when we do this tiny bit of work for ourselves. For instance, I’m usually an all-out holiday celebration girl. I like the lights and the festivities. I cherish the chill in the air and the spirit of Christmas all around. I relish the feeling of joy and general merriment in the air. But this Christmas season has been completely different. Completely. I haven’t even put my Christmas tree up and I don’t think I will. There’s no wreath on my door and there are no decorations on my windows. I haven’t even strung my lights around my porch. It’s strange for Leah indeed. Honestly, I think a good part of it has to do with it being so unseasonably warm here. I keep forgetting that we are in December and that I should be drinking hot cocoa and eggnog :-). Instead, my focus has been on what changes I want to make in the new year and how best to keep enjoying all of my moments and welcoming in better and better ones. I’ve been journaling. I hosted the Mind Your Happiness Challenge. I’ve been participating in exercises that are all about allowing more goodness in. So even though I’ve been present focused, I’ve been very future focused as well. 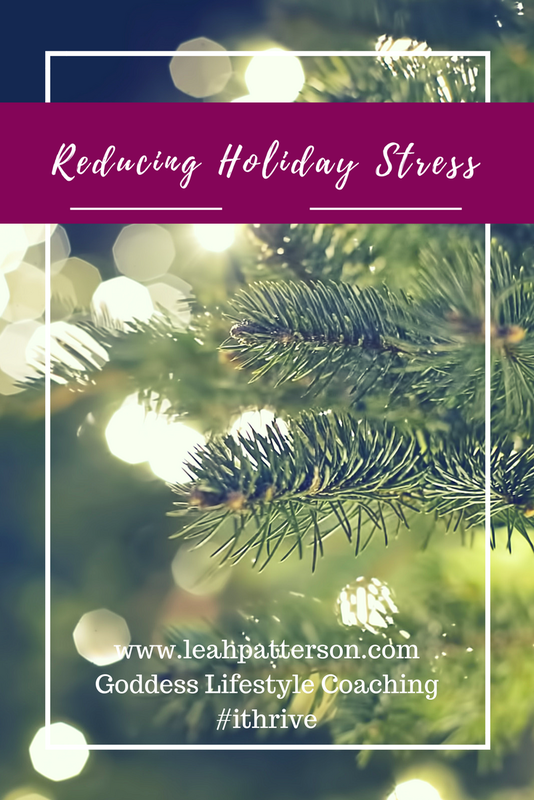 There would have been a time where I would have truly beaten myself up over missing the holiday season. I would have thought that I wasn’t in the moment enough and didn’t let myself enjoy the simple things. I would have lamented my focus and felt that I should have placed it elsewhere. But this season, I’m not doing any of that. This season, I’m forgiving myself for anything I *think* I may be doing wrong (ego talking) and instead embracing exactly where I am. You can create magick in any instance and I’m creating the magick of future intending and allowing and present day reflection and celebration. I’m looking forward to a different type of feeling on Christmas day for myself. I’m looking forward to filling that day with loving rituals that fill me up and get me excited about what’s coming next in my life. I’m looking forward to putting intentions into action and activating energy on multiple levels. I’ll be sure to share with you some of the ways I am going to do that either here on the blog or in the Facebook Group, so check both spaces.